We are an airframe maintenance, modification and conversion provider built upon a strong legacy and the strength our employee’s deep industry experience. Our commitment to excellence starts with a culture of safety and quality. Our goal of creating a work environment for our people to excel delivers exceptional value for our customers as well. Founded in 2000, we are a global aviation services provider offering best-in-class airframe maintenance, modification, and conversion capabilities, serving some of the world’s most successful airlines. Our culture of excellence combined with the expertise of our employees help us not only consistently meet expectations, but aim to deliver more. Flightstar provides a broad range of Airframe Heavy Maintenance, Components and Customized services. We provide a complete suite of services that fulfill our customers’ needs and deliver outstanding cost-effective maintenance solutions. We have specialized services for Airbus, Boeing, Embraer, and McDonnell Douglas aircraft. Our commitment is to provide the best maintenance solutions for our customers, always exceeding their expectations. At Flightstar, our dedicated customer teams work at the highest standards, serving as an extension of the airlines’ own maintenance organizations. 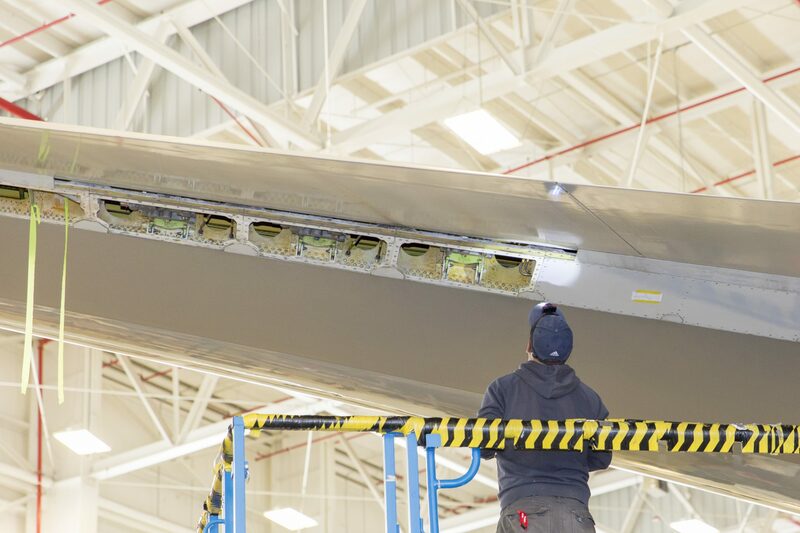 We are committed to helping our customers maximize aircraft utilization and reliability through industry-leading span times and proven quality that adds value to their operations. Added value is provided through a complete array of timely and customized engineering solutions. We provide our customers with a full range of solutions going beyond aircraft maintenance. Taking into account that each part of an aircraft is essential, we offer backshops with a full range of component solutions. When unexpected maintenance issues arise, we partner with our customers by providing on-demand AOG and Service Recovery services. This helps mitigate the risk an airline faces in their flight and maintenance schedule, and most importantly ensures the safety of their passengers when unscheduled maintenance is needed. Whether it’s a quick repair, component replacement, or field team support, we are committed to working side by side until service has been restored. Many of our customers are currently engaged in a variety of cabin-refresh initiatives and the deployment of enhanced IFE solutions. The combination of our Planning, Production, Supply Chain and Customer teams partner with our customers to ensure schedules are met. The extended process from provisioning of material & kits to onsite engineering support during the modification help meet demanding modification schedules. We performed our first passenger to freighter conversion on a B727 in 2000. Since then, Flightstar has expanded this offering to B737 and B757 and through its deep foundation in airframe structures, heavy maintenance services, and full paint capabilities, Flightstar has become a comprehensive passenger to freighter conversion provider. We allow our customers to take advantage of aircraft downtime by providing full aircraft paint capabilities across all supported fleet types. Our paint services are complete with graphics production, drawing support, state of the art equipment aimed at reducing product waste and optimizing coverage, and climate controllled paint hangers to minimize downtime due to weather. We understand the value of your brand and work hard to protect it through our paint services. Strategically located and fully equipped to provide long term value for our clients. Located in Jacksonville, Florida, we have a convenient and desirable location which allows easy access to airlines in the United States, Canada, Central and South America. Flightstar includes three hangars encompassing over 460,000 square feet, a dedicated 35,000 sq. ft. paint bay capable of performing full aircraft strip and paint services, and a climate-controlled warehouse of 52,000 square feet. For over 19 years, safety has been our number one priority. Flightstar holds a wide number of international certifications including EASA and FAA. To guarantee these safety standards, all employees undergo hours of constant and rigorous training which allow them to develop the technical skills necessary to assure excellence in all services offered. 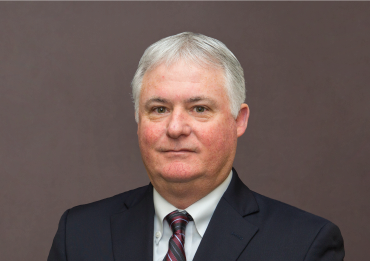 Mr. Celli is responsible for the operational oversight and execution of Flightstar, along with ensuring strategic alignment with MRO Holdings’ goals and objectives. Charley is a licensed FAA A&P mechanic who began his aviation career at McDonnell Douglas and brings over 30 years of aerospace experience in Business and Commercial Aviation sectors in a variety of leadership roles in domestic and international markets at Boeing, General Dynamics / Gulfstream, and most recently Jet Edge where he served as President and Chief Operating Officer. Our philosophy at Flightstar is simple: to recruit, train and invest in the best people in the industry to align our services and solutions with the long-term needs of our clients. If you have what it takes and are interested in joining our team, please explore our current opportunities. Want to know more about us? Contact us today.